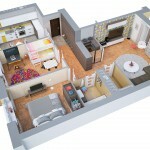 We offer high quality 3D architectural visualizations, design & 3d modeling. With the help of 3D Interior rendering we convert your interior design ideas into reality. Still rendering or 360° panorama visualization. Staring from early steps of the project, you can monitor all the design phases and our team will make allowances for all your comments and desires on any stage of the work. We make it true and possible to present ideas the way you see them in real colors. 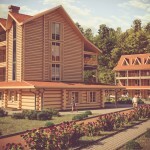 We make it possible to present “photos” of buildings before they have even been constructed. We provide photo-realistic images for all architectural ideas that you desire – private houses, commercial centers, business centers etc. It is a necessary project presentation tool for any designer or architect.It is also an ultimate tool for furniture and lighting producers – 3D catalogs permit to raise significantly their sales. 3D catalogues distributed among architects and designers will permit them to work faster and sell furniture used in the project. And also make furniture producers well known among them. Is the most important stage in product design, furniture and lighting industry. And it is also quite expensive. What if the prototype doesn’t come out exactly the way you need? Or what if you need a photo of the new article to print in the catalog ant the prototype isn’t ready yet? In this case a 3D prototype is the best solution. You get the same result and spend less anyway.